Acer's Senior VP and EMEA president Oliver Ahrens had some choice words to say about Microsoft's newly announced Surface tablet. After Microsoft kept word of its Surface plans a secret from PC and tablet hardware partners, those partners were left wondering how the Windows 8 landscape will play out. "I don't think it will be successful because you cannot be a hardware player with two products," Ahrens told Reuters, making comparisons to Apple's market dominance with the iPad. "Microsoft is working with two dozen PC vendors worldwide, including the local guys, whereas Apple is alone, it can more or less do what it wants. Microsoft is a component of a PC system. A very important component but still a component." Microsoft's role in the PC market has traditionally been that of software, leaving OEMs like Acer, who is the fourth largest PC maker worldwide, to put Windows to good use through hardware. But Surface threatens to disrupt that balance, potentially splitting Microsoft's focus as it supplies Windows 8 to OEMs while simultaneously competing against them. 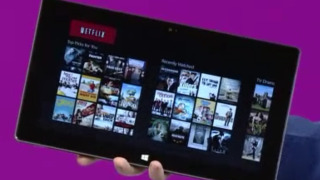 "Instead of enhancing the user experience for Win 8... they open a new battlefield," Ahrens said. "I worry that this will lead into a defocus internally for Microsoft, and then we have to suffer because we are working with their products." While Ahrens is worried about where Microsoft's focus will go, he is less worried about how Acer's own line of Windows 8 tablets will fare alongside Surface. "Microsoft still has a big agenda for improving the user touch experience on Windows 8 and we hope this approach does not defocus them, but from a competitive point of view we are not concerned, not a bit," Ahrens added, speaking with The Channel. Acer already announced its own line of Windows 8 tablets with the Iconia W700 and W510. Like Surface, Acer is positioning its tablets as notebook alternatives, with features like a full USB 3.0 port, Ivy Bridge processors, and an included keyboard dock. Rumors about the Surface's price indicates that Microsoft may aim high, which would open an opportunity for manufacturers like Acer to offer more budget friendly SKUs.